Originally published in 2004, this highly successful look at the science behind the sport has been updated to become the most informative book yet about North America�s favorite pastime. As the fifth installment in the award-winning How Sports Work series, we�re getting behind the plate and rounding bases for How Baseball Works! A bold, energetic, panoramic design accompanies eye-catching illustrations as well as exciting photos of professional players past and present. 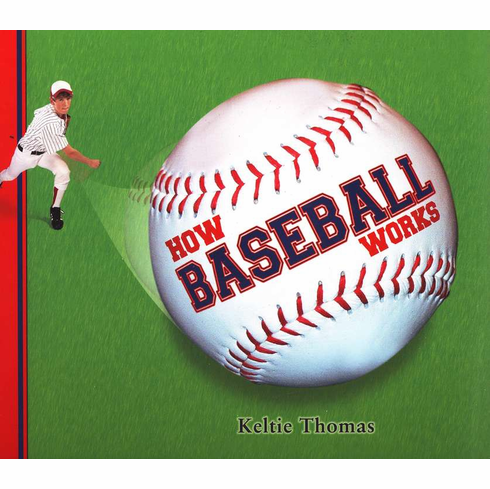 Engaging running text addresses readers on their own level, and includes features such as �Quick Hit� factoids, �Star� baseball cards with stories of the pros, �Tip� baseball cards with hints for improving your own game, and fun �Try This!� activities to help develop related skills. �Legends of the Game� pages at the end of each chapter introduce young readers to some of the most impressive players in baseball history. A �Rules and Regs� section and �Baseball Talk� at the back of the book are jam-packed with all the lingo and information to make any reader an expert at the basics of the game. Hardcover, 10.25" x 8.75", 64 pages.